Fun, leadership and culture: the ingredients for a perfect day, ended with an historical event that made a dream come true. We had breakfast with our Israeli peers at a school for gifted students and then we left for Acre towards a surprise event. Once arrived in Acre, we found out that we were brought to a place rich in history, the old city is in fact part of the UNESCO world heritage. 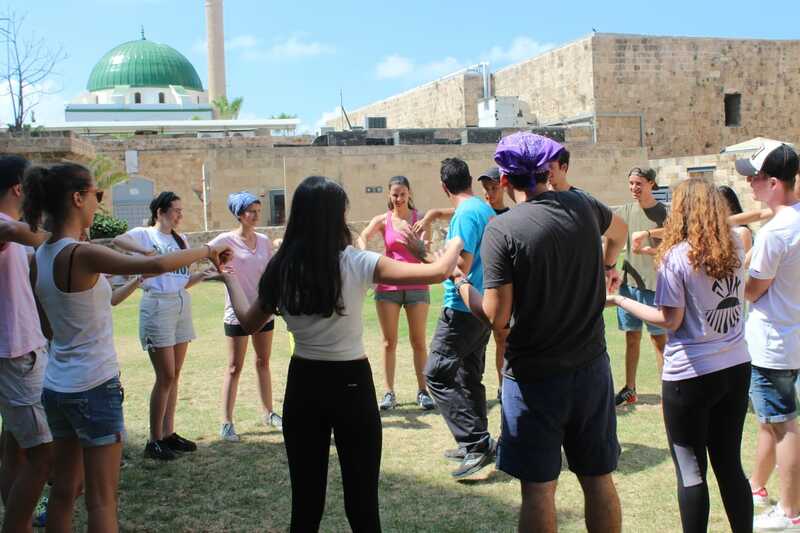 We also found out that, as we could have imagined, the activity we were about to experience was not a simple one: following some ice-breaking games (we had met with our Israeli peers only the day before), we were divided into four teams. We were given some missions to accomplish, each one with different levels of difficulty and score that would have dictated the winning team. Beside looking for monuments or physical places, some missions required us to be in contact with the local people, who by the way surprised us especially for the kindness and willingness to help us: we entered a restaurant and we were given permission to take a video while we were making real foods using the restaurant tools, interrupting them from their usual business; we stopped a police car and got on it; we also made a sort of flash-mob with some passengers on a boat. These are only few of the several activities that we undertook: some of them were very funny specially because we built an united team in which everyone collaborated, playing a strategic role. This experience helped us develop team working skills, mutual help, but also creativity as some of the missions required us to be resourceful. For instance, we could not find mattresses, spray to colour our hair or musical instruments at the market so we built what we needed with objects that we found on our way. Although we had to use strategies to win, we proved fair play too at the point that the losing teams learned a song in Hebrew to celebrate the winners. Everybody was aware of the fact that each of us did his/her own best, connected with the rest of the team members and had a lot of fun, also developing some leadership traits. In the afternoon we juggled between the steep and narrow streets of Nazareth, where we could admire the Basilica of the Annunciation, an important place for all Christians, that turned into an opportunity to know the Jewish and Catholic religions better, talking about the differences in terms of holidays, celebrations and rites. This visit brought up mutual curiosity, that was satisfied by direct questions and answers. The last one of the activities for this day was the meeting with the Arab team of LEAD at the house of one of its ambassadors. Despite the warming welcoming, at the beginning we were a little bit embarrassed as we didn’t know how to behave, how was the relationship between the groups and hence which questions we could ask them and which ones we should have avoid. However, as soon as we started speaking about leadership, the atmosphere became very relaxed, with no barriers in terms of religion and vehicle language, as everybody was talking the language of leadership. 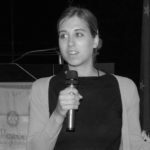 Tamara, the girl who hosted us, spoke about the project that she is implementing in her neighborhood where she is trying to build a library that not only allows everybody to enrich themselves, but that can also become a meeting point for the locals. We then moved to the question time, and, as it happened frequently in these days, we were asked about our activities in Italy, LEADIt, and the issues that we need to face when we work on our projects. Once again, we confirmed that, despite the distance, the differences between the places where we live (for instance Veneto itself is bigger than Israel and Italy, as opposed to Israel, does not need an army to protect its borders…), the problems that we identify are basically the same, as well as the type and the dimension of the projects that we implement to address the problem of the community and the issues that we face. In Israel, as it happens in Italy, many projects are focused on the Education sector or the issues of cultural integration. On the other hand, one of the few differences, is that, as LEAD exists in Israel since 1998 and as it’s a well-established and known organisation that brought change in all the Country, the Israeli ambassadors have some people to look up to and don’t need to explain what leadership really is. In Israel people in fact know the meaning of “leadership” as there is a word for it in the Hebrew language, as opposed to Italy where there’s no translation and the idea associated to the role of the leader is the one of a boss and hence negatively considered. We like to say that we made history by meeting this day. Italia and Israeli (Jews and Arabs) were sitting side by side, forming a one single group with the shared goal to change society for the better, trying to solve the issues that we identify, starting small to then build something with a higher impact. It was such a perfect day that, now that I’m writing about it, reliving each instant, a smile has appeared on my face.